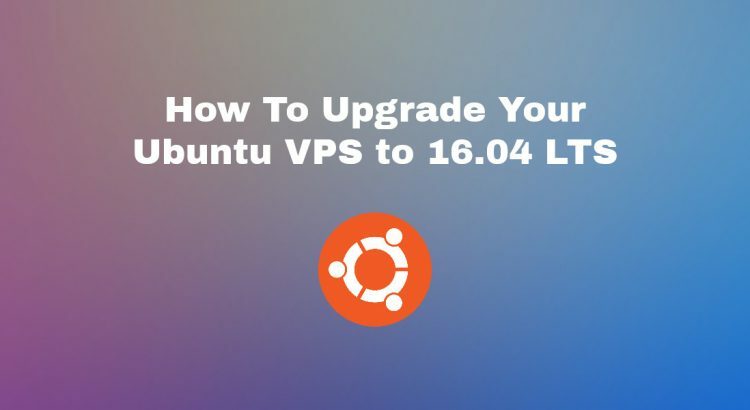 We’ll show you, How To Upgrade Your Ubuntu VPS to 16.04 LTS. When an Ubuntu OS release reaches its ‘end of life’ it receives no further maintenance updates, including critical security upgrades, so it is highly recommended to upgrade to the latest Ubuntu version. In this tutorial, we will show you how to upgrade your Ubuntu VPS from Ubuntu 14.04 LTS (Trusty Tahr) to Ubuntu 16.04 LTS version (Xenial Xerus), skipping the non-LTS releases in-between. Please note, it is recommended to backup your data including the MySQL databases and service configuration files before you continue to upgrade your server OS, because there is a risk of failure, misconfiguration of your server services or some data loss during the upgrade process. It’s highly important that you backup all your data before you proceed with the upgrade. Upgrade at your own risk, or leave it to professionals to do it. installed. 477 packages are going to be upgraded. 51 seconds with your connection. Enter ‘d’ to see more details on which packages are going to be removed and which new packages are going to be installed. Enter ‘y’ to continue and to start the upgrade process. During the upgrade process, you will be prompted to install new package maintainer’s configuration files or keep your current configuration files. Enter ‘D’ to see the differences between the versions. Enter ‘N’ to keep your current configuration file. You may be prompted to restart some services on your server. Enter ‘yes’ to restart the specific service and continue the upgrade process. 71 packages are going to be removed. Enter ‘d’ to check which packages are going to be removed. Carefully go through the list and make sure you don’t need any of those packages. Enter ‘y’ to continue. Enter ‘y’ to restart the server. That is it. Your server has been successfully upgraded to Ubuntu 16.04 (Xerial Xerus) LTS. The process is similar when upgrading any Ubuntu distro. Of course you don’t have to do any of this if you use one of our Server Security Patches and Updates Services, in which case you can simply ask our expert Linux admins to upgrade the server OS for you. They are available 24×7 and will take care of your request immediately.